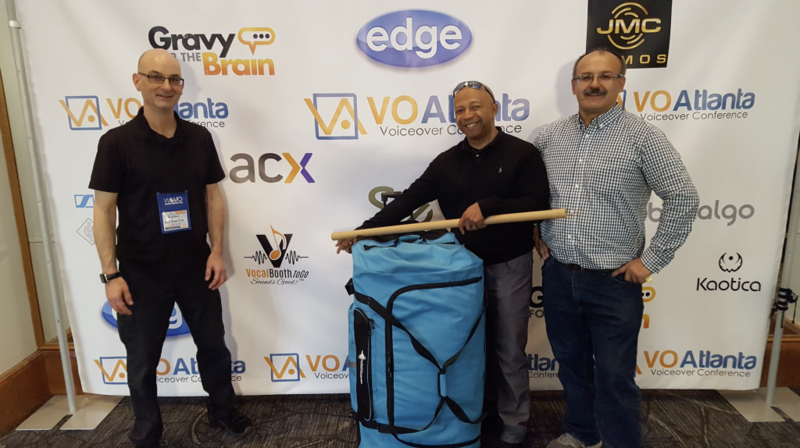 VO-Atlanta 2018 and Vocal Booth To Go! We really enjoyed our visit with the wonderful crowd of VO folks down in HotLANTA! We didn’t get much sleep, but there was too much fun to be had and speaking with all of you was the highlight! It was very important to us to get your invaluable feedback concerning your problems with your current setups and trying to find solutions that would work easily for you. Gerald and the good people came out to see us and we wanted to let everyone know we appreciate the patronage as well as the word of mouth that has brought us much of our success. Thanks to all of you who believe in our products and know that we have developed our products as solutions for your problems!